Ever wanted to create a Gift Promotion for your store, to which the customer can add any product, from a specific category, and that item will be gifted (or half price, or any price for that matter)? Additionally you can alocated a banner to be displayed when the customer qualifies for the promotion. 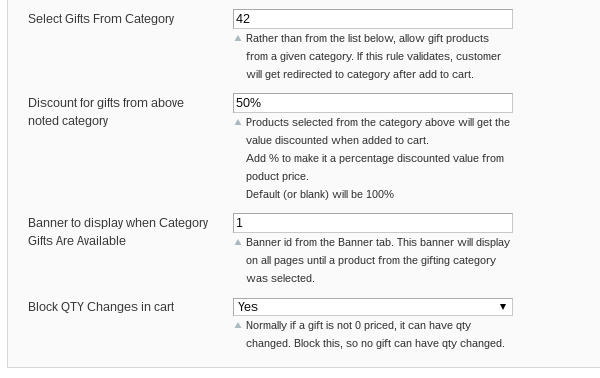 Once a customer qualifies for the promotion, (for example a promotional rule condition that cart must be above X dollar value), they will be redirected to the nominated category, which will allow them to immediately select their promotional item. BUT, it is not a must that they need to select the promotional item there and then. They can select it at any time, by clicking on the noted banner that will continue to display until they select an item. So, any item added to cart, from any area in the shop, and when that item belongs to the nominated category, it will apply for the promotion. If the customer does not make a selection, or they have multiple items in cart, they will get the option to update an item to the promotion. 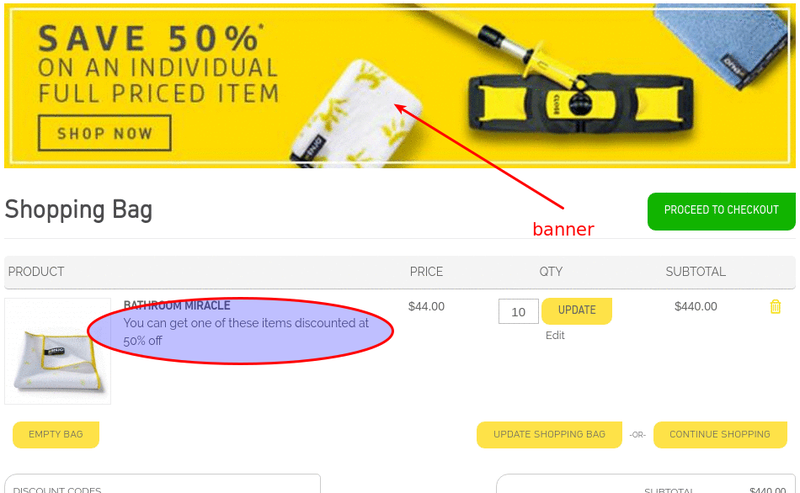 If the cart total falls below the required value, any promotional items will be removed. In this promotion, if a customer has $199, or more subtotal, they will be allowed to add an item at 50% discount.